I was taken in by a drow priestess as a baby and lived my whole life in the underdark city of Ust Natha. I know nothing of my natural parents. I can only assume they were residents of the city of Suldanessellar. It was not uncommon for the drow of Ust Natha to have raiding parties near the city looking for slaves. What is unusual is what happened to me. My drow mother Zarra was barren. The drow have a very strong social hierarchy. No decent family would have given up a child. The only drow children my mother could have hoped to get would have been Revi’n xa’ huuli (street trash). This child would have always been a lesser among the other drow of the high houses. And never would someone of that type of birth been allowed into one of the academies. My mother was among the drow raiding party that found me. My natural eladrin parents had hidden me. Probably when the fighting had started. After the battle my drow mother was searching for treasure and valuables. She noticed something in a pile of earthen debris. As she cleared away the leaves and dirt she found me. But I wasn’t alone. A large venomous spider was sitting on my forehead. The spider spoke to my drow mother and said “Take”. The spider then disappeared into the leaves. She took this as a direct message from Lolth. She put together a plan to take me as a house slave. This was very unusual considering my age. Captured infants are usually given as food to the larger spiders or sometimes used as ingredients for spells, potions or other magics. The old drow houses have strict rules for interactions between the other races, I would have never been accepted as a daughter. But as a slave, as a Lince’sa (a pet), she could take me with her. I was an accessory and an amusement at parties and social gatherings. I was well known in the high houses. My role was to always do an eladrin trick and people would clap. But that was only on the surface. 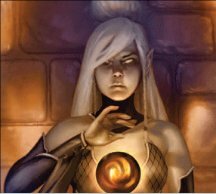 My mother believed there was more to me, that I was chosen by Lolth and in secret she trained me in the magics of the drow. She believed that if I could prove that I was chosen I would be accepted. I practiced hours every day on my magics and hours every day with the spiders. No non-drow has ever been given The Gift of Lolth (the ability to communicate with spiders). This was part of the priestess training and is considered scared and holy among the drow. She felt that if I could be shown to have this gift, they would all see that I was special and something more. But my mother was blinded by the desire to have a child. One of her rivals saw me during my daily practice. She was spying on my mother, looking for a way to get the upper hand. She confronted and attacked my mother. My mother was going to be ruined. It is clear, I would have never been accepted. I would have been seen as a blasphemy. I killed the rival while her back was too me. I couldn’t allow her to ruin my mother. I was snuck out of the underdark that evening. I can never return. The truth of what happened must remain a secret. Now I have no people. I can never return to the only home I have ever know, the underdark. Nor can I try to return to the other eladrin. They would see me as tainted from my time with the drow. Maybe I can redeem myself to one day integrate back in with regular eladrin society or maybe I can find something else. Right now I’m lost and without a home.